For the past two years I have been using a Therm-a-rest NeoAir XLite based around trying to carry as little weight in an attempt to become an ultralight hiker but also to maintain a high degree of comfort. Due to shoulder injuries including ‘bone spurs’ I regularly shift positions during the night from my back, to one side and then the other. The main drawback with the NeoAir XLite is that you sound like you are sleeping on cellaphane. I don’t notice it but it drives my wife insane as she’s a light sleeper. 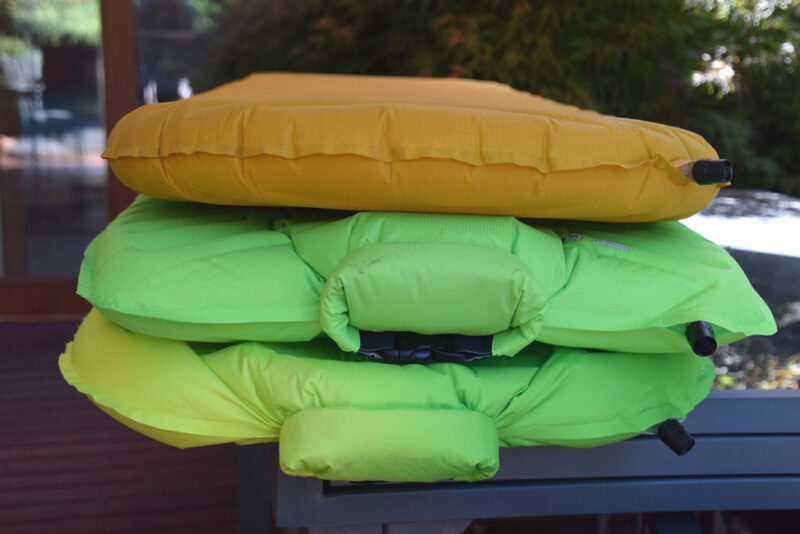 When I was given the opportunity to try out the Therm-a-rest NeoAir All Season Regular SV Sleeping Mat I must admit that I had expectations of a similar experience, all be it with a different inflation system. I was however pleasantly surprised. The first thing that you will notice with this sleeping mat is that it doesn’t fit into the ‘ultralight’ category weighing in at 680 grams. In addition its also not as compact as the NeoAir XLite (see image below). In taking this mat out of its small bag the first and most obvious difference feature on this sleeping mat is the speed valve inflation system that Therm-a-rest has been rolling out over the past year or so. Instead of blowing into a small valves system you exhale into a larger opening from about 150mm (6″) away which greatly reduces the strain on the lungs. Thermarest have a great video on their website that talks you through the process. I’ve read reviews on the internet complaining of a leaking issue with the speed valve but I didn’t find that this was an issue for me at all. I woke up the next morning and had no loss of air which can be a generic issue with all inflatable mats. Thermarest provide a short video on operating the speed valve on their website and do note that if you don’t follow the instructions that their can be leaks. I found in testing this mat that even after leaving it inflated for five days there was almost no air loss. I find that with the Therm-a-rest NeoAir XLite I take about 25 breaths to inflate it and I’m a bit lightheaded by the end of it; I need a mat to lay down on by that stage! The speed valve system fills the mat to almost its capacity with far less breaths (7 breaths though the speed valve) and any last minute fine tuning just needs four(4) extra breaths into the small side valve to get just that right tension on the mat. Most people may not need to last bit of fine tuning but I like a fairly firm mattress so this worked well for me. Once I had set up the mat set up and settled in for an afternoon nap this was where I found the real difference. While this mat still has some crinkling to it you can hardly notice the noise compared to the Therm-a-rest NeoAir XLite. The other thing that I noticed is that this mat is reasonably stable across the full width and there didn’t appear to be any soft edged which is one of the criticisms levelled at the Therm-a-rest NeoAir XLite. This matt also has an R-value of 4.9 which essentially means that it is a four season mat that will quite comfortablely take you through all but the most severe snow conditions. The pad size feels fine for my 188 cm, 95kg frame. 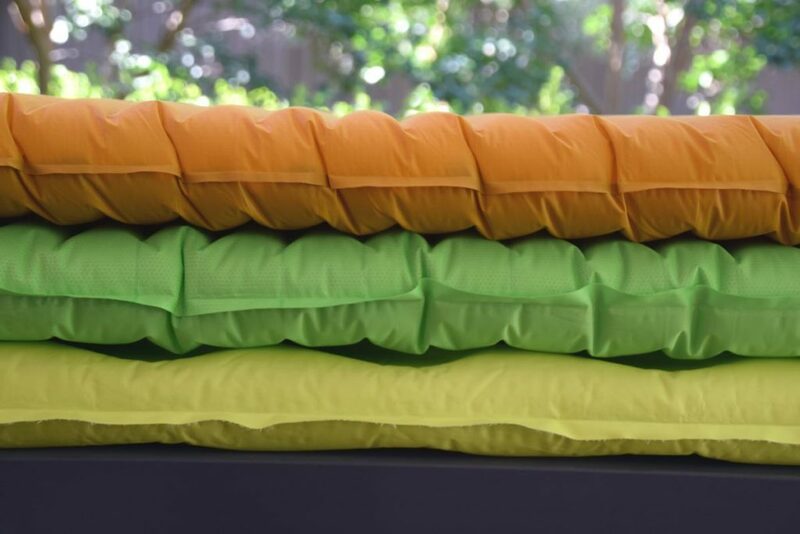 This sleeping mat still falls into the high price range sitting around the $333AUD price at the time of this review which makes it around the same price as the Therm-a-rest NeoAir XLite. 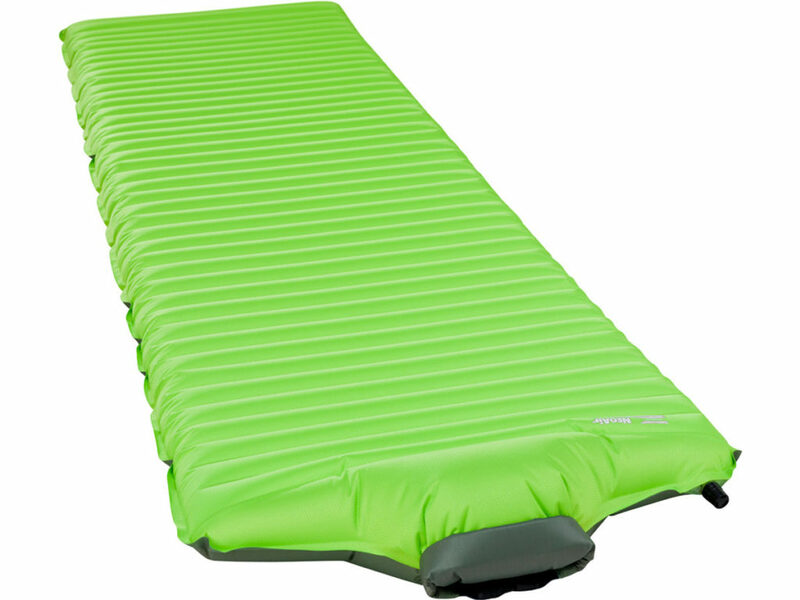 Due to my focus on reducing weight this sleeping mat is not likely to replace my Therm-a-rest NeoAir XLite anytime soon but I would definitely buy this mat if I was car camping, didn’t care about the weight, was snow camping and couldn’t cope with the noise of my Xlite. Overall I am very happy with this pad and I would strongly suggest you look at this as an option when choosing an inflatable pad. For many hikers the price will be an issue but consider all the features that this pad offers before choosing another option. Comparison of various sleeping mats packed. 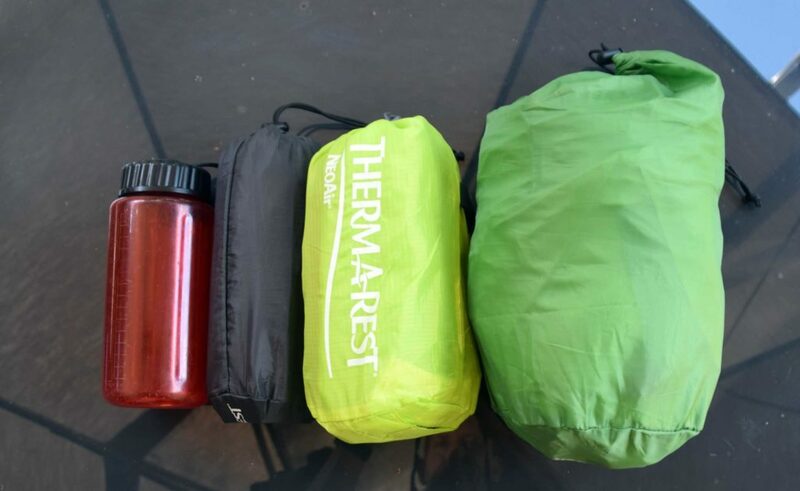 From the left one litre water bottle, Therm-a-rest Neo Air Xlite, Thermarest Xlite All Season SV, and Thermarest Trail King SV.